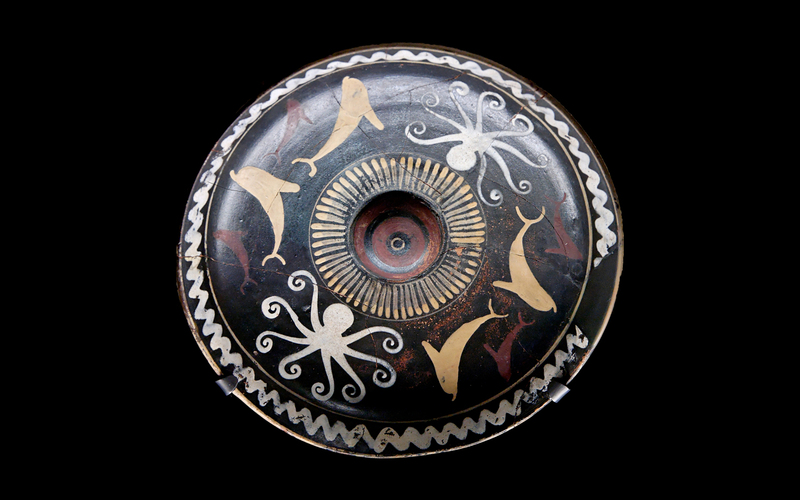 Ancient Greek pottery had some amazing glazes and artwork. This wallpaper shows a phiale (drinking bowl, usually used for wine) with a nautical theme containing dolphins and octupuses that is part of the collection of pottery in the Louvre. Zip file contains one wallpaper, size 1920x1200.